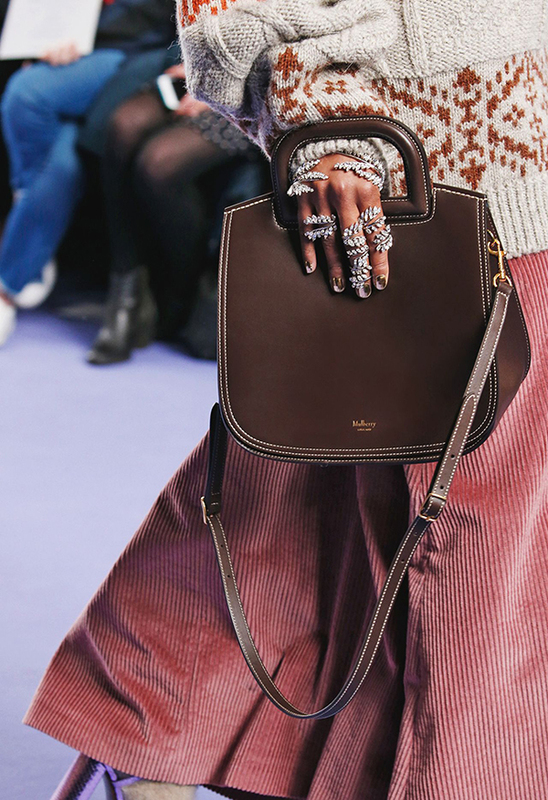 I’ve always been a fan of Mulberry bags; I was a teenager when the Alexa bag exploded into an it-bag, and I lusted over it from afar. 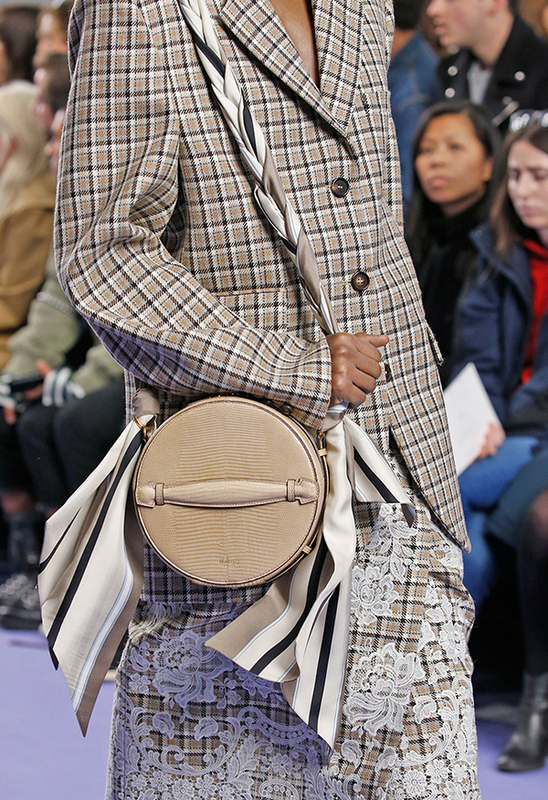 After Mulberry relaunched their branding last year, I was eager to see how their bag designs might follow, and I was not let down by the AW17 collection. 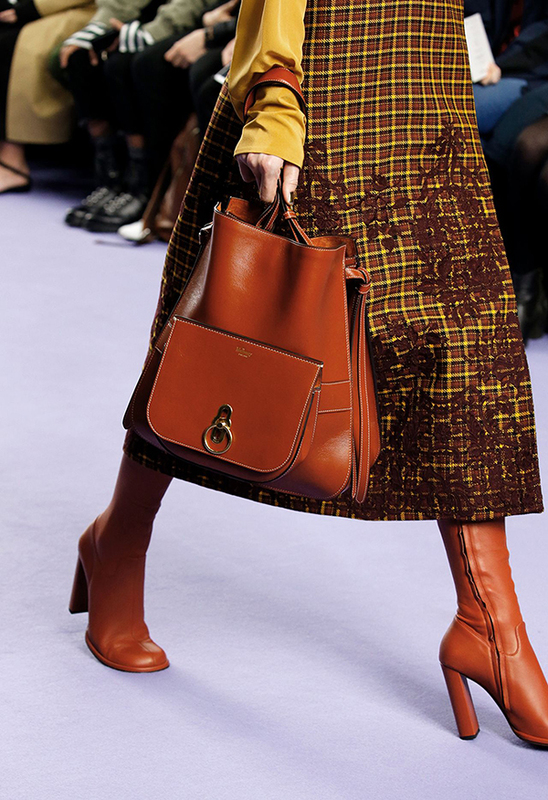 With the collection comprising of bags in bright colours, and made from gorgeous leather, the designs are just quirky enough to still be wearable. 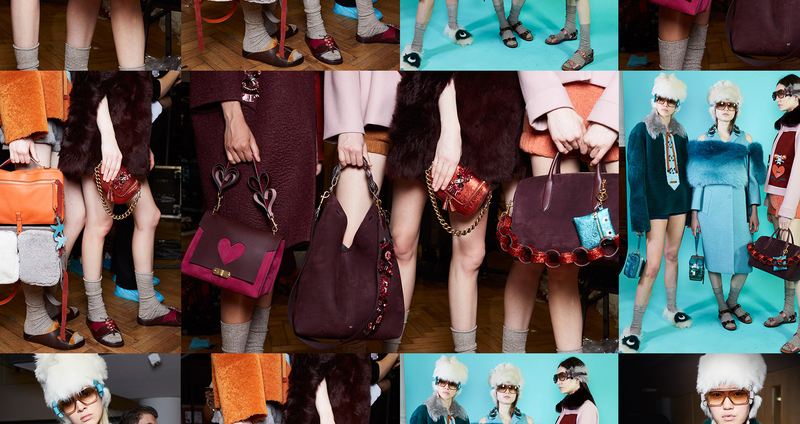 How gorgeous are the colourful suede bags?! 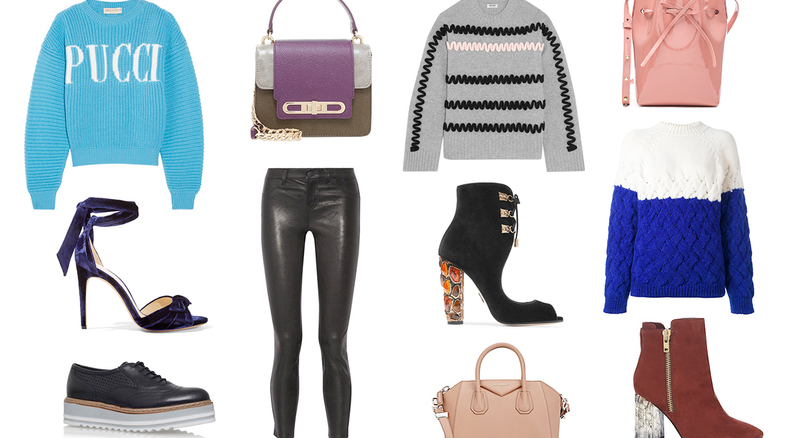 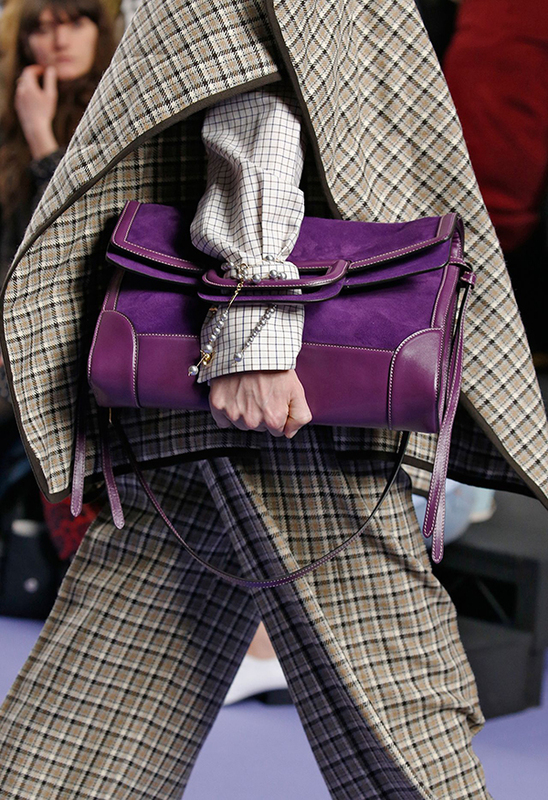 My favourites from the collection have to be the big unstructured rectangular bags. 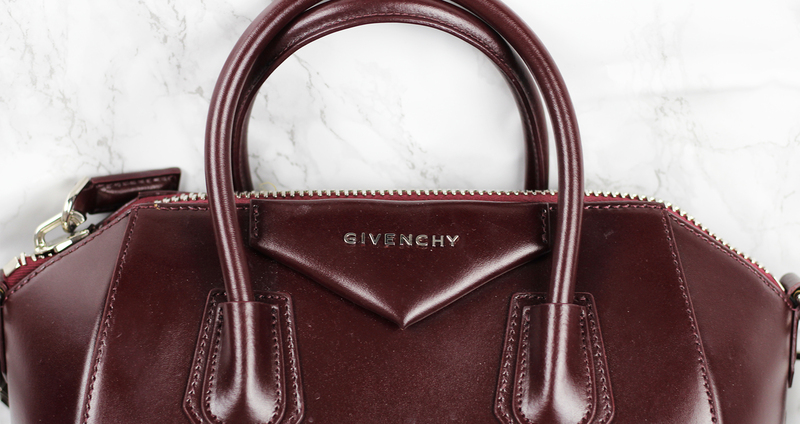 Whether in the quilted version (as above) or the more classic straight leather (as shown below), the leather just screams quality, and the craftmanship detail in the stitching is just incredible. 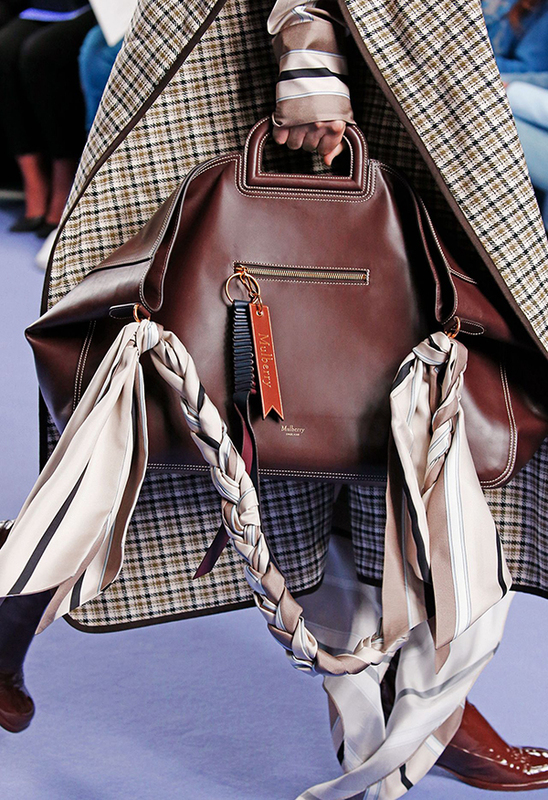 The plaited strap adds a fun twist to the otherwise classic handbag shape, and the contrasting colour just works so well to compliment the classic muted browns. 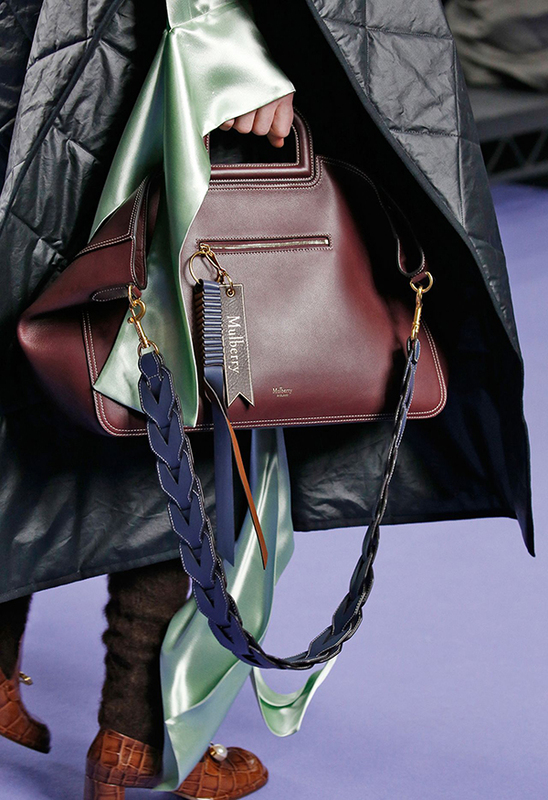 And I absolutely love the keychain zip detail with the embossed Mulberry logo and quirky folded leather piece! 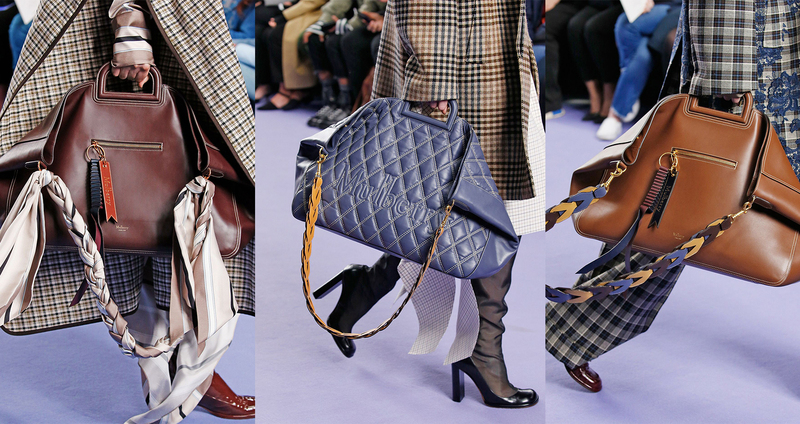 I must admit these particular bags are maybe not the most practical in size (I know they might be a bit too big for some people! 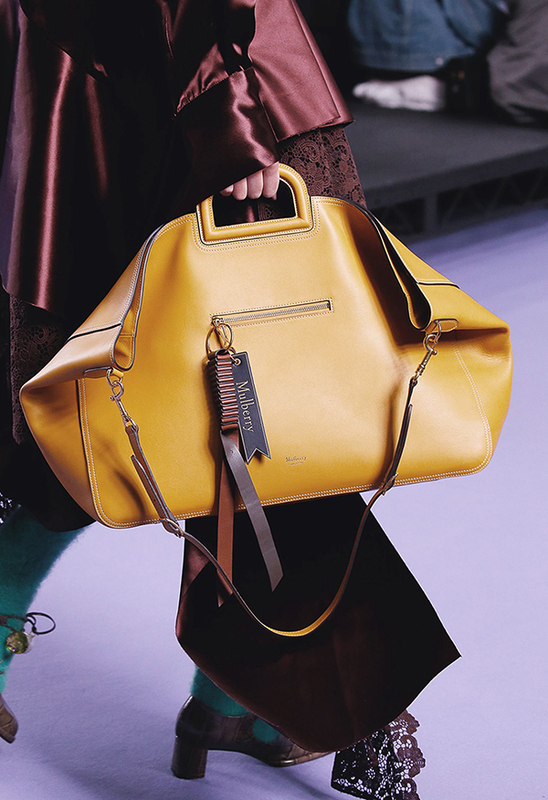 ), but I just love the look of them, and they could be a great option if you’re looking for a chic weekend bag! 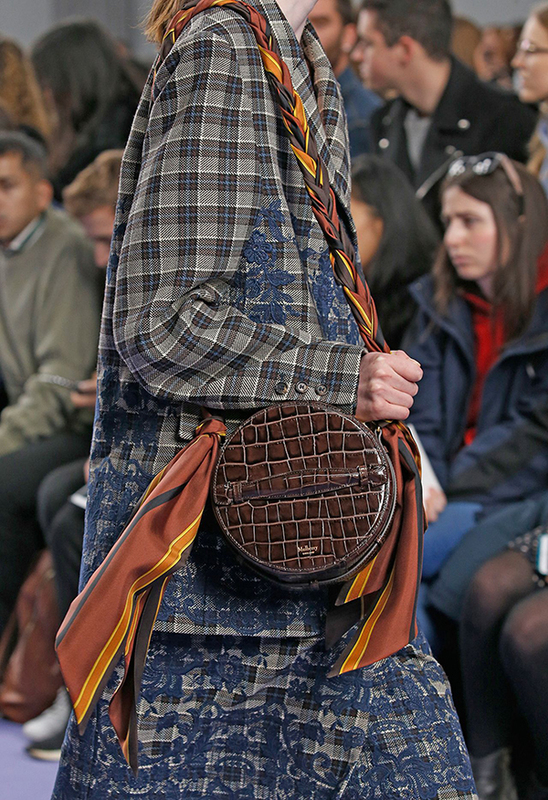 There’s even a little cute mini-bag in the collection, to either attach to a regular size bag, or use as a coin purse! 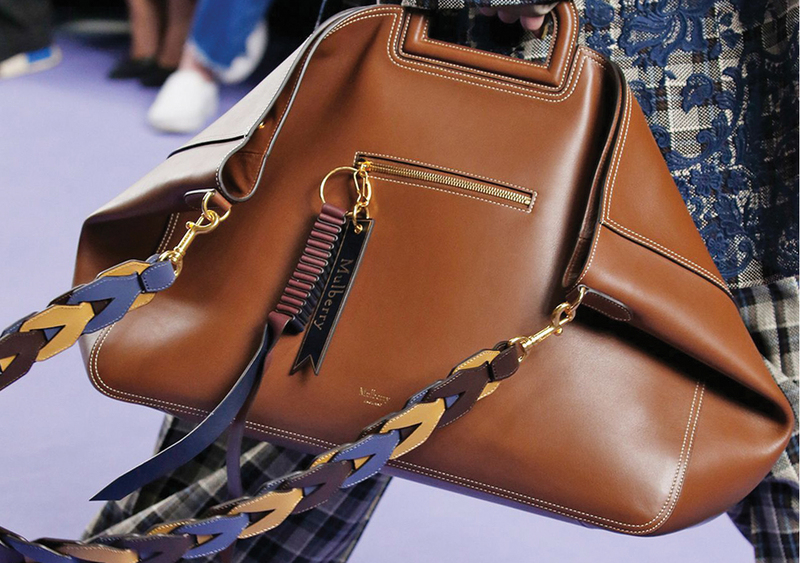 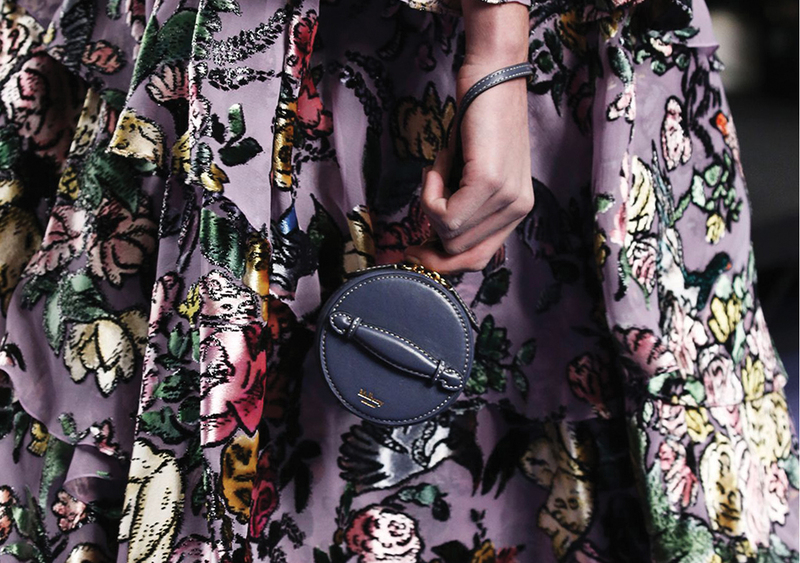 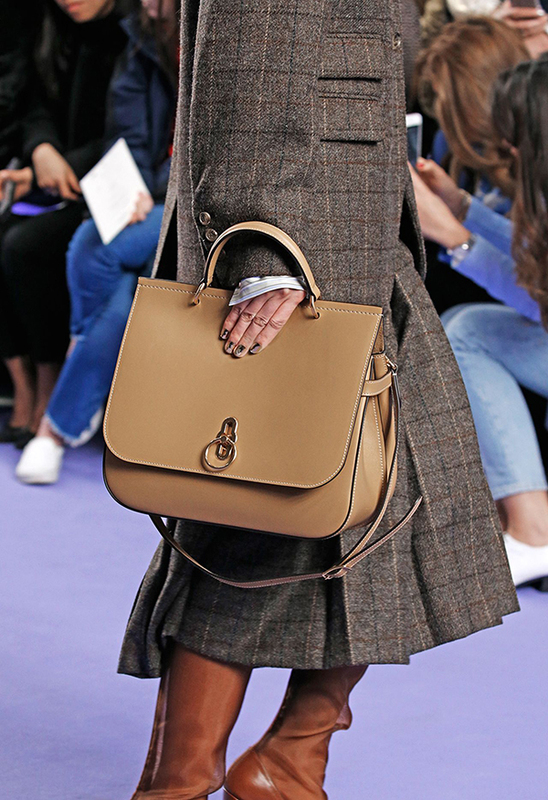 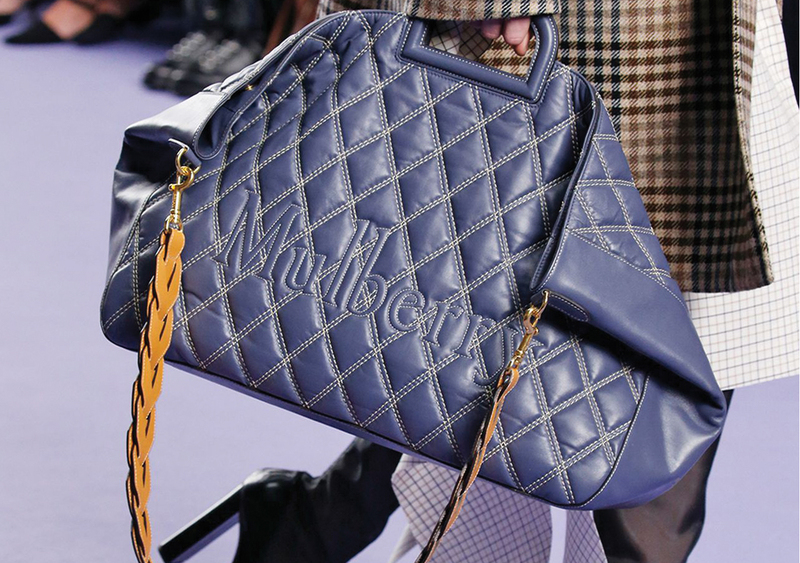 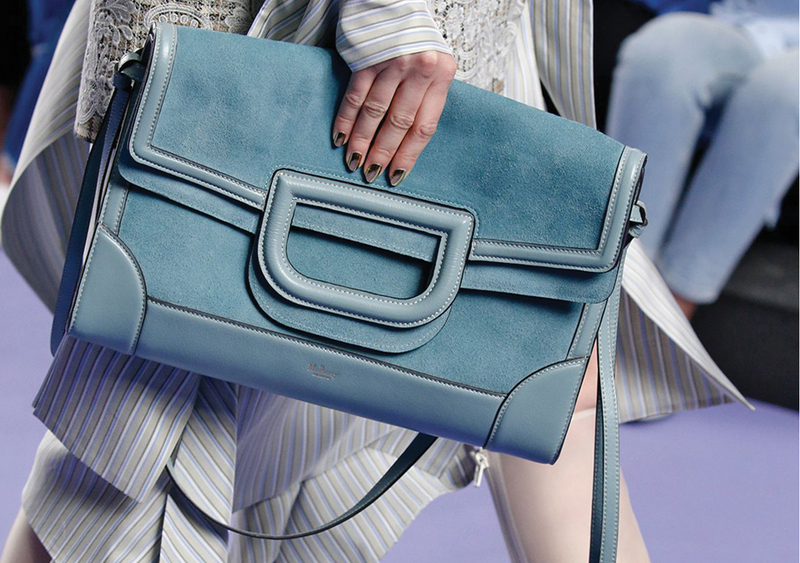 What do you think of Mulberry’s new bag collection? Let me know in the comments section below!